Press Release (ePRNews.com) - LONDON - Mar 19, 2018 - Announcing the partnership of Welcome Pickups with Ctrip signals the beginning of a great cooperation between two like-minded companies, with the goal of delivering the best in-destination experience possible. As Welcome accelerated their growth over 2017, they realized their need for strategic partners to better reach and accommodate those from Asia, planning travel abroad. Ctrip emerged as the ideal partner, with complimentary brand values, customer focus and a mission to use technology to better connect travelers to their destination. “In-destination spending accounts for 23 percent of the overall travel budget, after flights and accommodations. This category has traditionally been served by segmented providers, working independently in their markets. Welcome has created a holistic solution to unify the experience, benefiting both travelers and providers. We are looking forward to combining our technology with that of Ctrip’s in order to offer travelers the best experience in any Welcome Destination they wish to discover,” said Alex Trimis, Welcome CEO. Welcome has created a holistic solution to unify the in-destination experience, benefiting both travelers and providers. We are looking forward to combining our technology with that of Ctrip’s in order to offer travelers the best experience in any Welcome Destination they wish to discover. With the outbound Chinese market growing at a rate of +7 percent per year, this strategic partnership promises to bring a better in-destination experience to users of Ctrip’s booking platform. 2018 is expected to be the EU – China Tourism Year as agreed upon by the President of the European Commission and Chinese Prime Minister, in a joint effort to improve travel and tourism experiences, among other things. Founded in 2015, Welcome has grown 300 percent year over year and currently operates in 18 destinations across Europe, Asia and the Middle East. 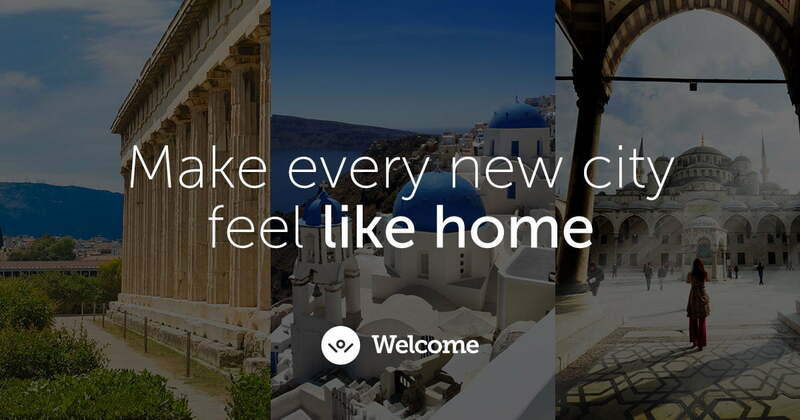 Welcome is creating a global brand and community built around a single touch-point that leverages technology to provide every traveler with the assistance and reassurance they need before, after and during their trip. Consistent with their mission to redefine the in-destination travel experience, Welcome is set to operate in 40 destinations by the end of 2018.